There is 5% promotion/discount code available for us to get it when we purchase the STRAY package. 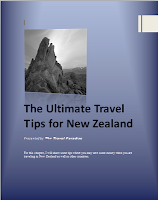 However, the condition is, 5% off will only be given when any booking is over NZ$400. Please place the code at the column as below.